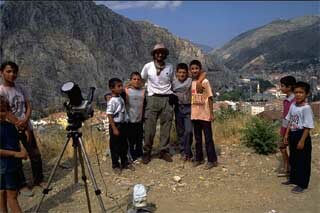 Amasya is an ancient city on the Harshene Mountain near the Yesilirmak river in a valley in Central Anatolia. 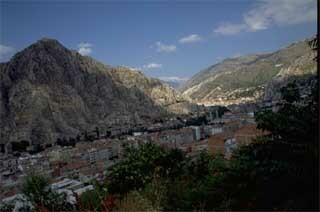 Dating back to at least 5500 B.C., Amasya has a colorful history and has entertained many civilizations including the very early Hitites, Persians, Romans, Byzantines, Seldjuks, Ottomans and most recently the Republic of Turkey. Famous large tombs, which later became thrones, are carved into the rocks of a mountain bordering the city.